Since this baby will be little in the summer vs Henry being a winter baby, I felt I needed something to cover the car seat to keep the sunshine out, not the heavy warmth cover I used when he was little. 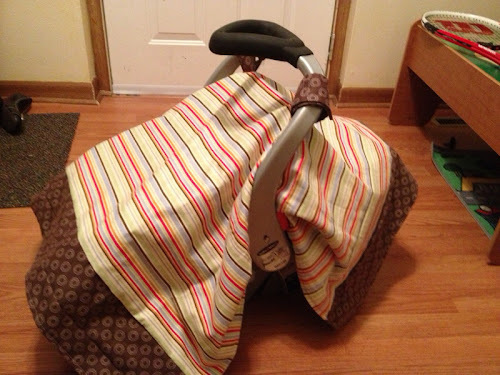 There are lots of car seat canopies out there and many tutorials. I read a variety of tutorials and made it work for me. 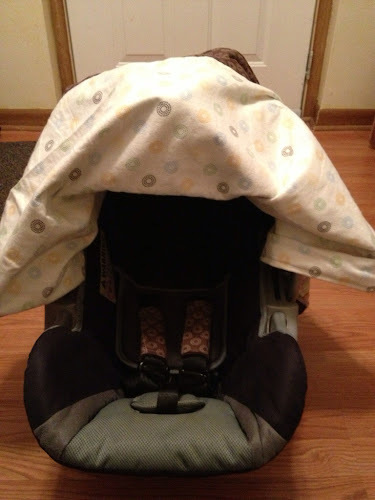 If you go to Pinterest and search for "car seat canopy tutorial," you will find many great explanations. This post isn't a tutorial, just a sharing of what I made. I bought a new pack of Carters receiving blankets at TJ Maxx that matched Henry's nursery bedroom set. 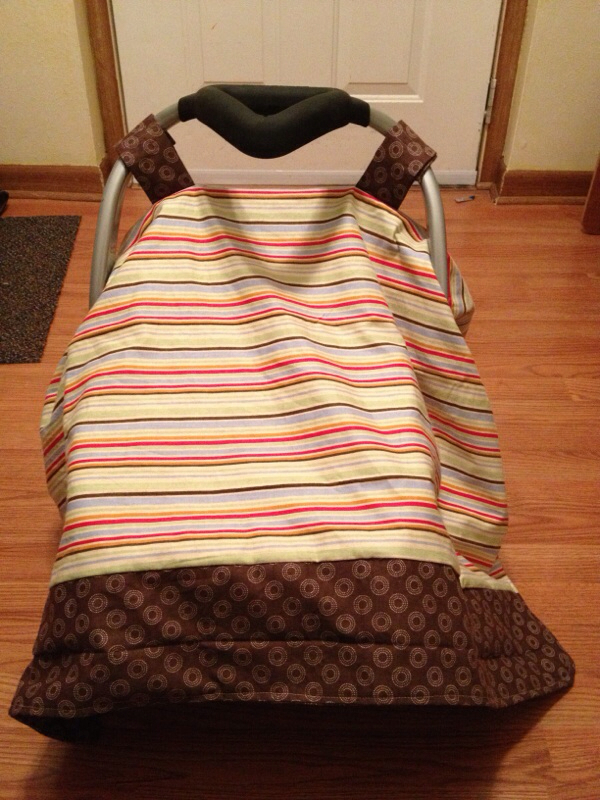 Then I decided to change the nursery, so I didn't need to keep the receiving blankets in the nursery. Their measurements are a little smaller than the dimensions of the fabric in the tutorials I read, but I made it work by piecing a border on the top and bottom of the cover. 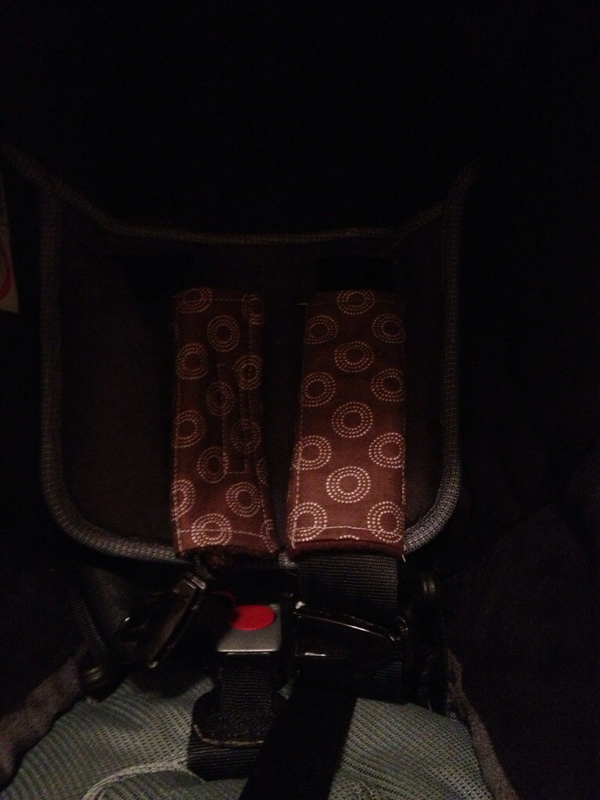 I used the last scraps I had of the border receiving blanket for the straps of the canopy and made strap covers for the car seat as well. I'm really pleased with how it turned out. I've grown a lot as a seamstress since Henry was born, so it's fun for this babe to have some new things. Enjoy some pictures of the project!